Silicone wristbands are a fanciful and awesome supplement to any fundraiser. These are commonly used by non-profit organizations to raise funds for research and treatment. 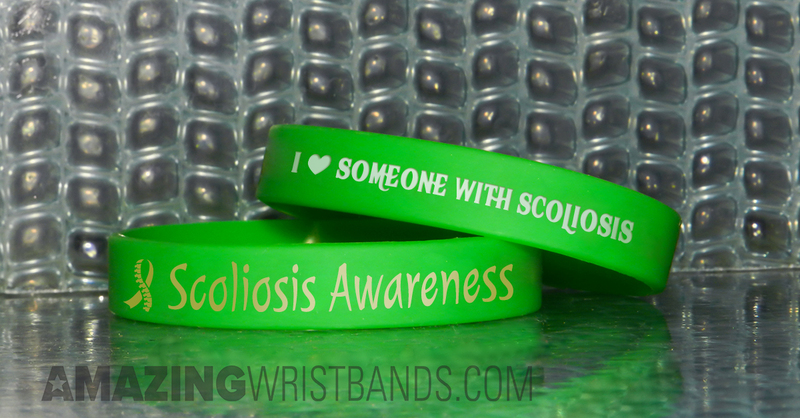 Customize your own fundraising wristbands at AmazingWristbands.com to help raise funds for scoliosis treatment. Rib bulges on one side of the back. Researches reveal that more than 80% of all cases have no clear cause. However, birth defects, neurological abnormalities, injuries in a growing spine and genetic conditions are considered to be the main causes for this disorder. Early detection is a must to help control curve progression and prevent this spinal disorder. Observation, back braces and surgery are the three main options of treatment available to prevent further progression of the curve. Why AmazingWristbands.com is the Best? As a leading provider of customized silicone products, we assure of quality products that are made of 100% silicone with latex-free. They are durable, long-lasting, comfortable to wear and non-allergenic to skin. Best of all, your fundraising bracelets can be customized as per your preferred personal message. You can choose your own from the various styles of messages such as debossed, embossed, colorized embossed, ink-filled and screen printed. You can get this product at a very affordable price. Purchase in bulk and sell it back for a huge profit. 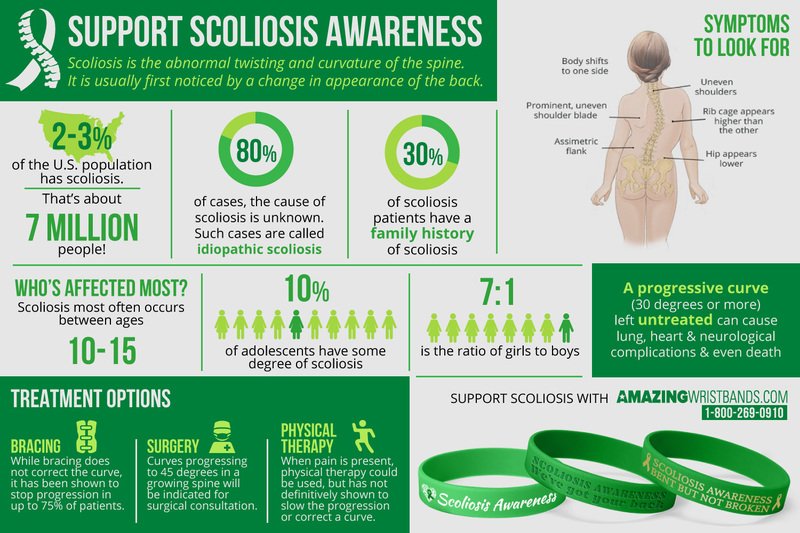 You can also put a sales table at crowded locations like consumable stores, malls near the entrance with an awareness message about scoliosis and request people to donate. People will get inspired to see this and will come and buy the bracelets. In addition to standard size bands, we also offer adjustable bands, snap bands, USB bands, silicone rings and key chains. Our professional and friendly customer service agents will help you design your own bracelet. No minimum quantity for your order on some of the styles. Many different colors and color combinations. 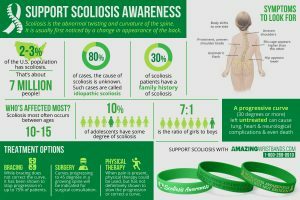 Use our online wristband tool to design your personalized fundraising bracelets to support scoliosis treatment. Our toll free number for sales, service and support is 1-800-269-0910.